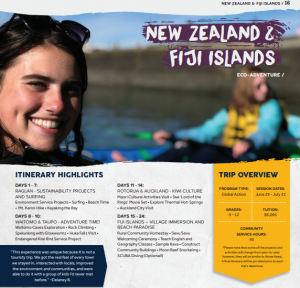 Global Works has released the 2019 Summer Service Adventure Catalog! The Catalog has all the information you need in one place. With so many trip options, it can be hard to narrow down your list of favorites. Here are some reasons why the catalog will make your decision easier! All the logistics are on one page for your convenience. 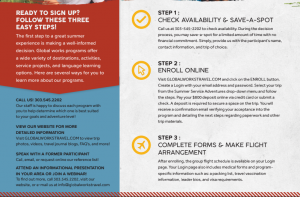 There are a lot of variables to consider when choosing a summer program. The offerings page presents all the logistics, making your search easy and stress free. You can quickly choose programs that work with your budget and available time frame. Nothing is worse than getting excited about a program just to realize it doesn’t work with your schedule! 2. All the details for each trip are perfectly placed on one page. 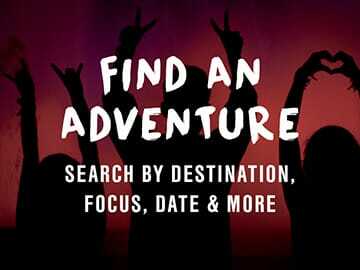 A click free experience! 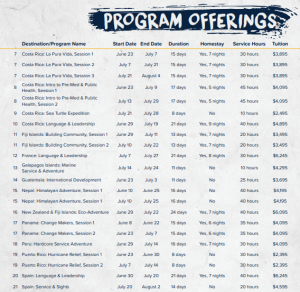 Everything you need to know including the trip highlights, amount of service hours, program dates, and tuition, is on one page at the tip of your fingers. Get your hands on a printed copy to leave notes directly on the pages or doggy ear the corners! 3. Step by step instructions. Have questions? Grab the phone and call us! 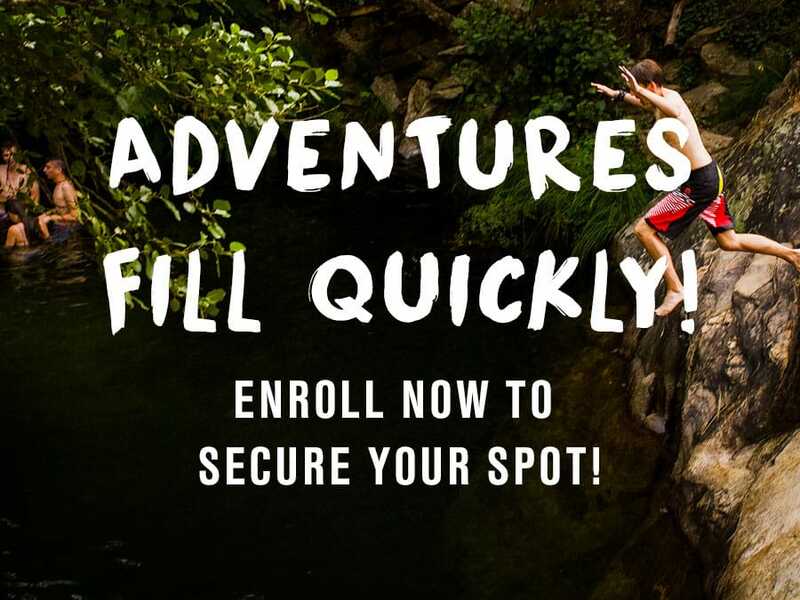 Ready to enroll? Follow the instructions straight to the link you need! All the information is listed clearly on how to take your next step. Summer Service Adventure shopping should easy and efficient; request a free catalog today!